The Unofficial Guide to EPRW for Those Who Missed It! Were you fortunate enough to attend 12th European Pesticides Residue Workshop (EPRW) during 22nd-25th May 2018 in Munich Germany? If you were one of the lucky 560 delegates then I am sure you will agree that the EPRW is the key event to learn about the latest developments for the analysis of pesticide residues in food and beverage, as well as providing a unique opportunity to network with residue experts from around the world in a friendly welcoming atmosphere. If you were unable to attend or drank too much beer at the Bavarian evening at the Augustiner-Keller, then read on. Throughout its 22 year history, the EPRW has become renowned for delivering a high quality scientific programme and this year was no exception. This year the programme included a more diverse range of topics. In addition to the regular updates on analytical techniques, regulations and risk assessment, other lectures discussed unexpected sources of pesticides (Michelangelo Anastassiades, CVUA, Stuttgart, Germany) while Mette Poulsen (DTU, Copenhagen, Denmark) discussed the poisoning of wildlife with pesticides and Brian Eitzer (Connecticut Agricultural Experiment Station, USA) gave an insight into techniques for monitoring the impact of pesticides on bees. The programme was further diversified by talks on analytical strategies in pesticides exposure assessment through human biomonitoring (Hans Mol, Rikilt, Wageningen University & Research, the Netherlands) and the influence of formulation techniques on the behaviour of residues (Christian Sowa, BASF, Germany). The themed day focused on “Residues in Organic Products” to address the challenges associated with the production of organic crops and processed organic products. If residues are detected, is it an indication of illegal use or a result of endogenous formation during processing, or simply contamination? How can analysis answer these questions and assist in development of more sophisticated official control measures? A lot of unanswered questions which require more research, but at least this journey is underway. The unofficial guide to EPRW 2018 – for those who missed out! 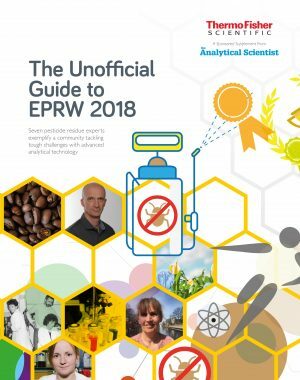 Jim Garvey is one of seven pesticide residues experts to share their experience and thoughts on EPRW, past and present, and on analytical developments in this free to download supplement produced by The Analytical Scientist. Lutz Alder (retired) kicks off with his involvement in the origins of EPRW followed by Mike Taylor and Kirsty Reid (SASA, Scotland) explaining how to “stay in the game” when it comes protecting consumers and wildlife. 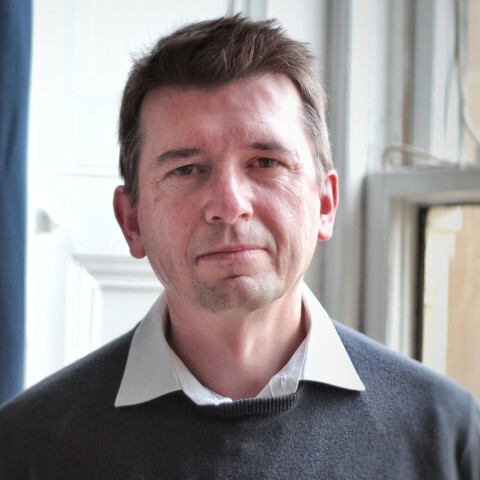 Jim Garvey’s article is full of promise, while Thierry Delatour (Nestlé research centre, Lausanne, Switzerland) discusses the use of LC-HRAM-MS to solve the curious mystery of the unexpected presence of a pesticide in coffee. Susan Ekroth (NFA, Uppsala, Sweden) discusses screening techniques, while Nuria Cortes talks about the award winning work of the Laboratori de Salut Pública de Barcelona (LASPB), Spain. It’s an entertaining read and hopefully may encourage you to attend EPRW 2020 in Granada, Spain. Information on Thermo Fisher Scientific vendor lectures, posters, pesticides application notes and other information are available to download on the Thermo Fisher Scientific EPRW2018 event page. “New Innovative Triple Quadrupole MS Technologies for Unstoppable Performance and Confident Quantitation of Pesticide Residues in Foods” by Richard Fussell and Paul Silcock. These lectures featured the Thermo Scientific™ TSQ Quantis™ triple quadrupole LC-MS/MS system and the Thermo Scientific™ TSQ 9000 triple quadrupole GC-MS/MS system equipped with a highly efficient advanced electron ionisation (AEI) source. “The Analysis of Polar Ionic Pesticides Using High Performance Ion Chromatography Coupled with High Resolution Accurate Mass Spectrometry” by Lukasz Rajski, University of Almeria Spain. This lecture featured the use of the use of Thermo Scientific™ Dionex™ Integrion™ HPIC™system coupled to the Thermo Scientific™ Q Exactive™ Focus Hybrid Quadrupole-Orbitrap™ Mass Spectrometer system for the analysis of polar pesticides.